Standoff's theme, composed by our talented Michael Mahadeen, in .mp3 format. A high-resolution DVD cover in PNG format. 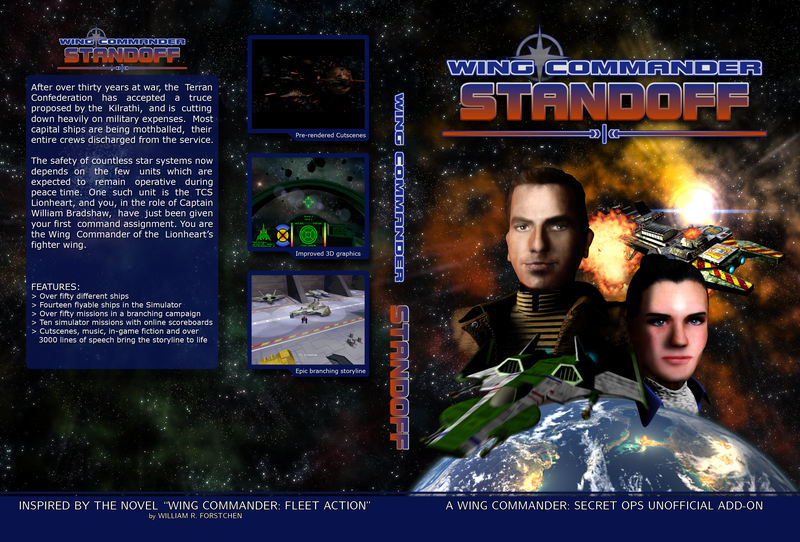 Print it out to keep a copy of Standoff in a nice case with the rest of your Wing Commander collection. For the sake of nostalgia, here you can check out our previous website, which we mantained while the game was in development.